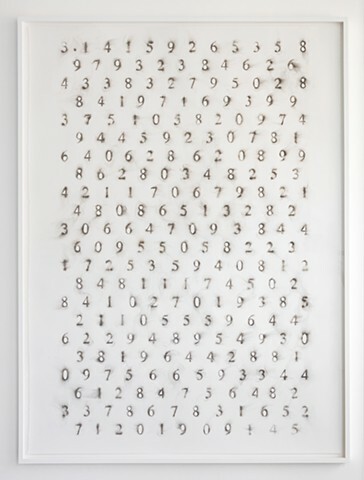 The Transcendental number Pi has been inscribed on a large surface using smoke to form the numbers. The numbers have been arranged in a pattern. Mathematicians have been searching for a pattern in Pi.